Dragon War is a Japanese company that makes quality computer peripherals and accessories. 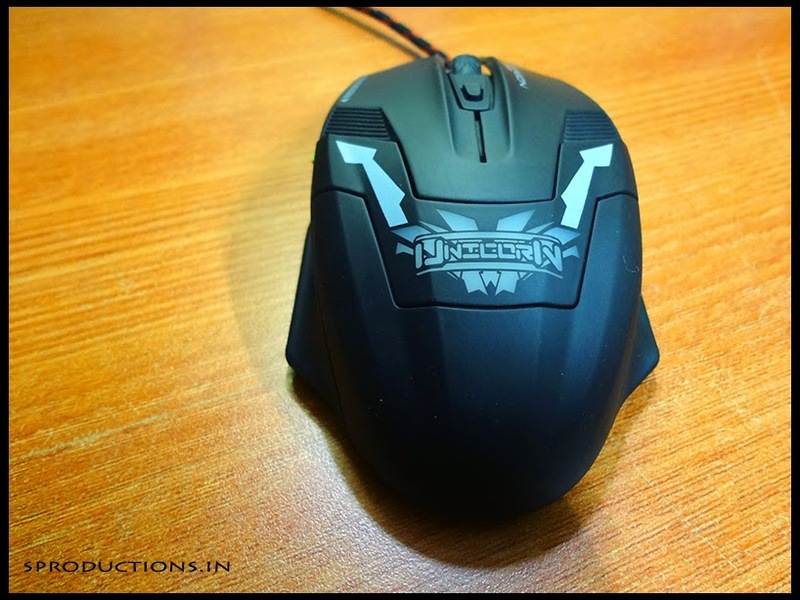 I recently got my hands on Dragon War's 'Unicorn' gaming mouse and started using it with my primary PC. This is my full review of this gaming mouse after having used it for more than two months. 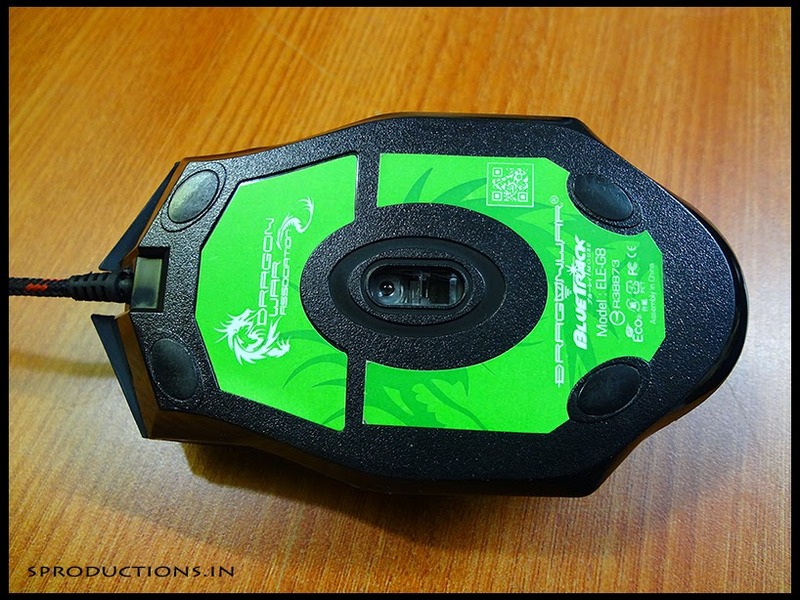 My previous wireless mouse died on me one fine day and that made me research on a good quality mouse that would not only serve as a regular one but also give me additional features. After browsing through a lot of Logitech, Razer and Steelseries mouse specifications, I finally bought the Dragon War 'Unicorn' gaming mouse mouse. I ordered the mouse online and received it within 24 hours and believe me the box I received it in was HUGE!! This decently sized (not too large/not too tiny) gaming mouse is made up of good quality material. It feels rubbery all over and has a matt finish. 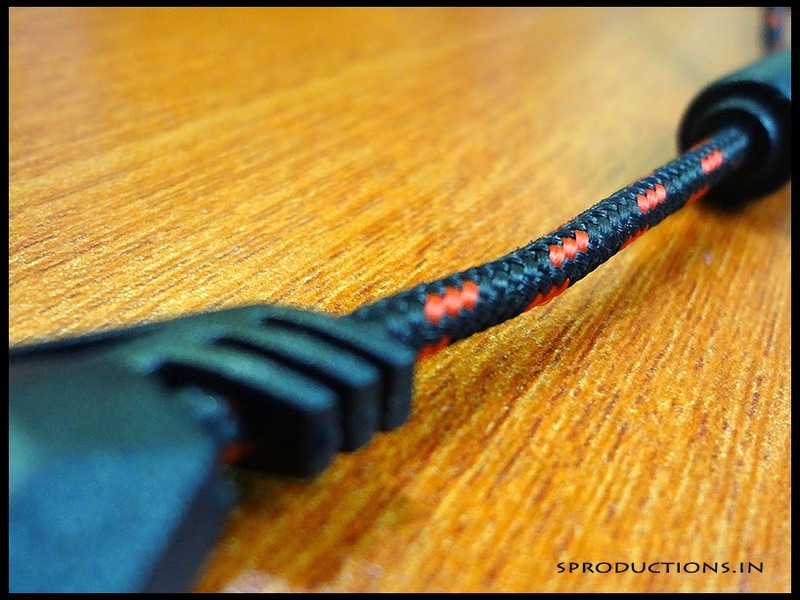 It is a powered by a braided USB 2.0 cable with a gold plated connector for better performance and life span. It has a length of 1.8 metres (roughly 6 feet) and is made out of tangle free material. There are a total of 8 programmable buttons on the mouse along with a mouse wheel. 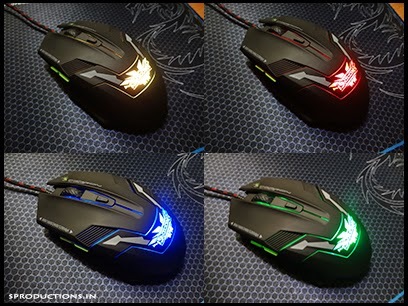 The top body of the mouse has Dragon War and Unicorn branding along with inbuilt LED lights that look brilliant in a low lit room. 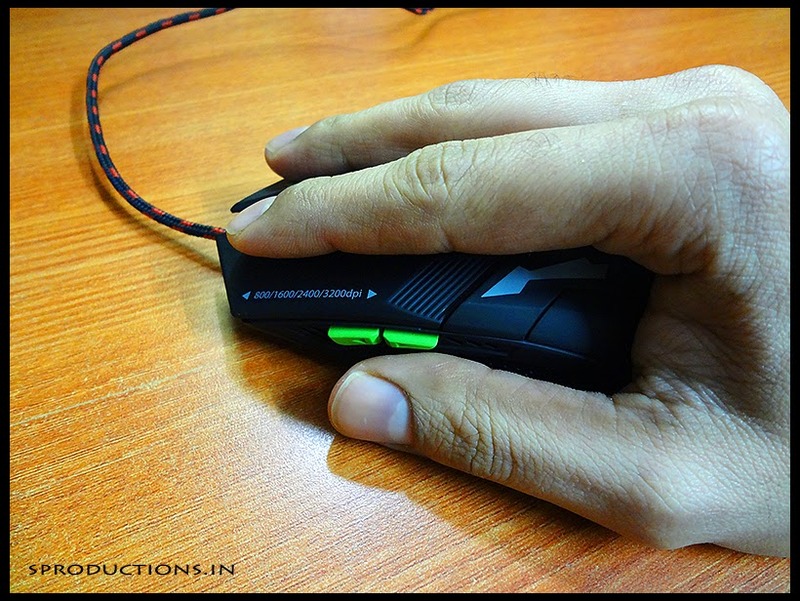 The base of the mouse on both the sides are a bit extended to give you that perfect grip. 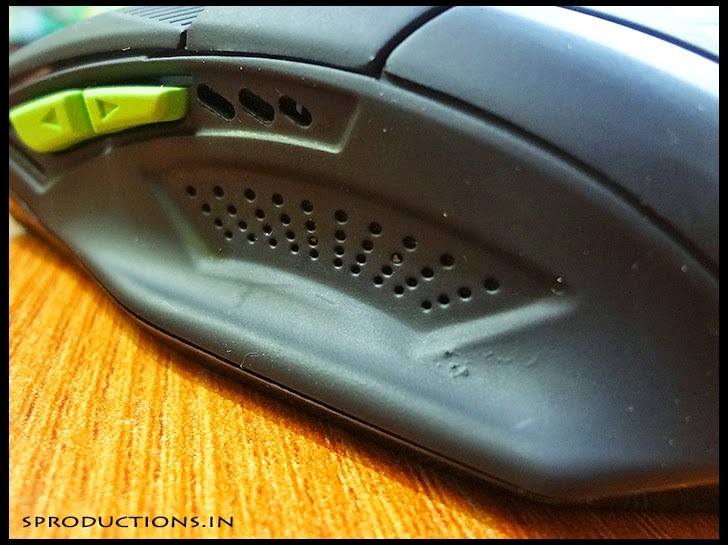 There are also ventilation holes provided on both these sides to keep the mouse cool under all conditions. The clicks on all the buttons are super silent and smooth. At the bottom of the mouse, you would find an optical sensor along with 4 slippery plastic beads that help the mouse skim over any surface you place it on. The optical sensor on this mouse is extremely sensitive and can detect even the slightest of movements. 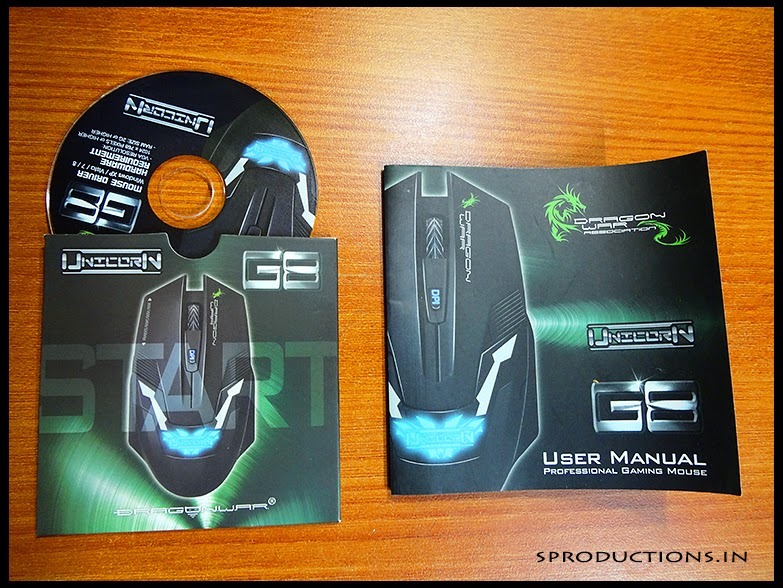 Although the mouse is completely plug-n-play, the package comes with a CD that installs a software onto your PC. 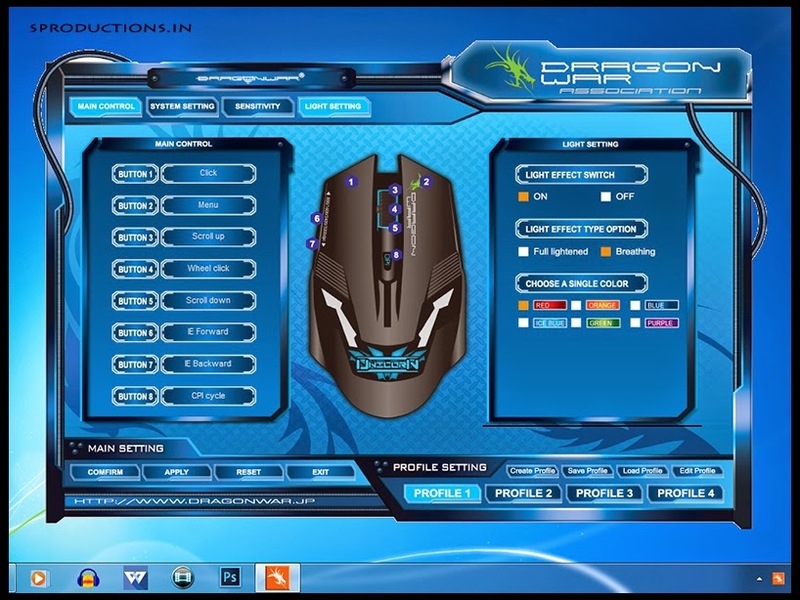 This software lets you configure the mouse buttons, its LED lights and also lets you set profiles. These profiles are then remembered by the mouse (with its inbuilt memory) and can be changed using the provided software. One of the best features of this mouse is the DPI (dots per inch) sensitivity control. DPI is a measurement of how sensitive the mouse is to even the minutest of movement. 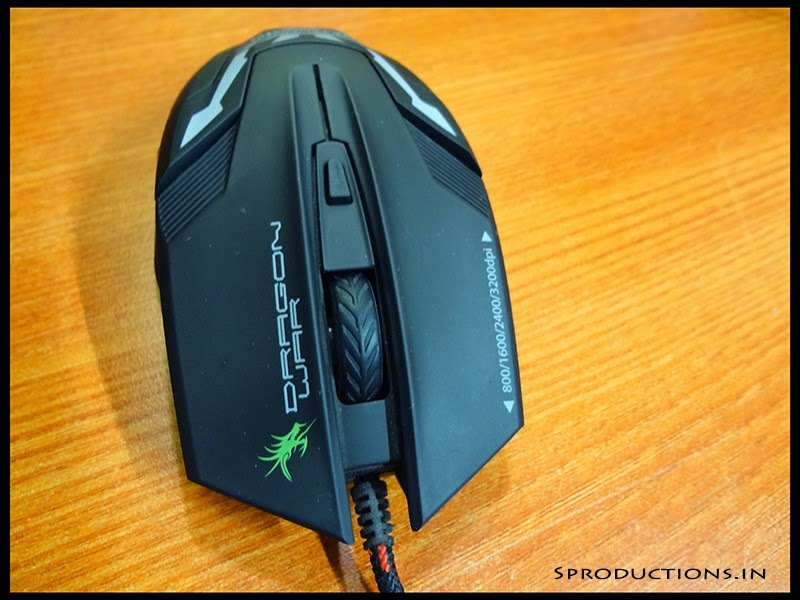 This mouse gives you a flexible dpi range of 800 to 3200 dpi. Pressing the dpi button each time would change its sensitivity from 800-1600-2400-3200. In common words, the mouse pointer on the screen will be the slowest on 800 dpi and fastest on 3200 dpi. This feature easily lets you configure the movement of the mouse according to your requirements. 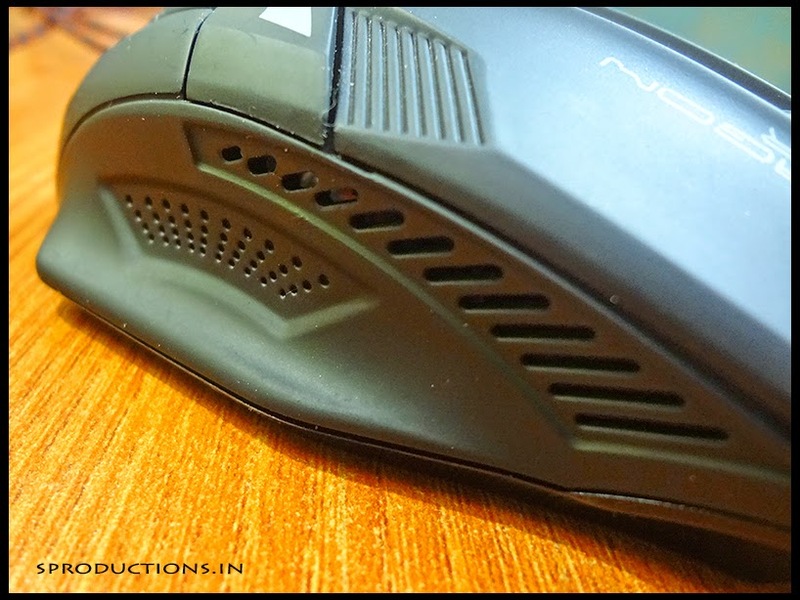 The rubberized grip on the mouse is the most comfortable grip I've ever had on any mouse I've used till date. Infact calling this mouse grip comfortable would be an understatement. It does not cause any pain on your wrist even after long hours of working with it unlike my previous experience with other mouses'. I have now switched over to this mouse on all my PCs in the house. The optical sensor is extremely sensitive to movement and is very accurate. 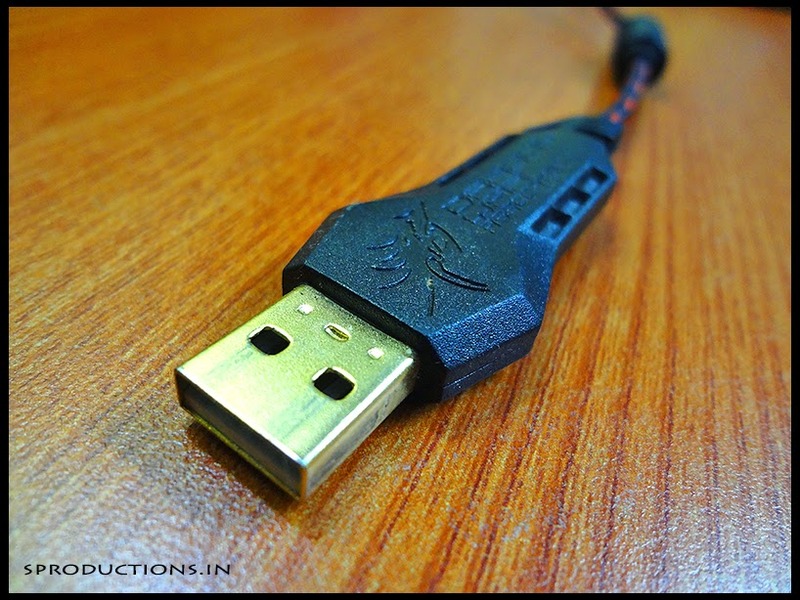 The USB cable is high quality with a gold plated connector. 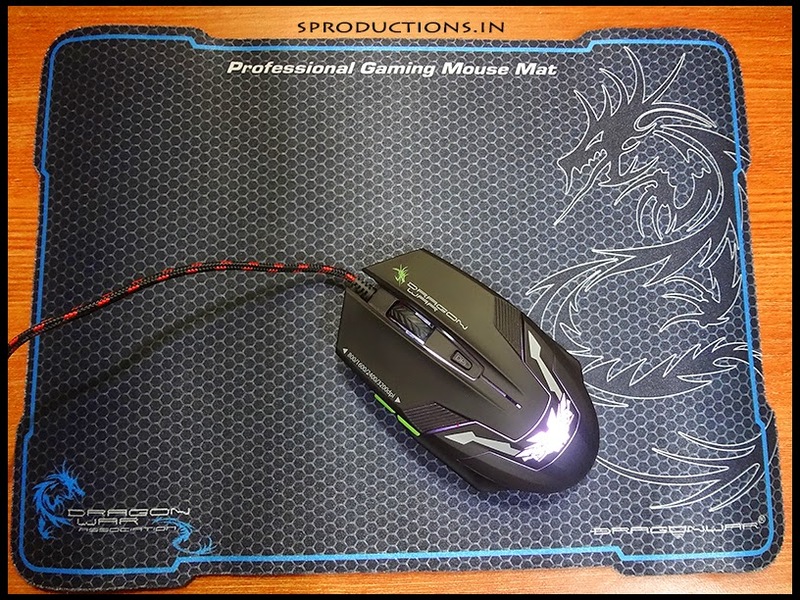 This mouse comes with a free professional grade mouse pad inside the packaging. 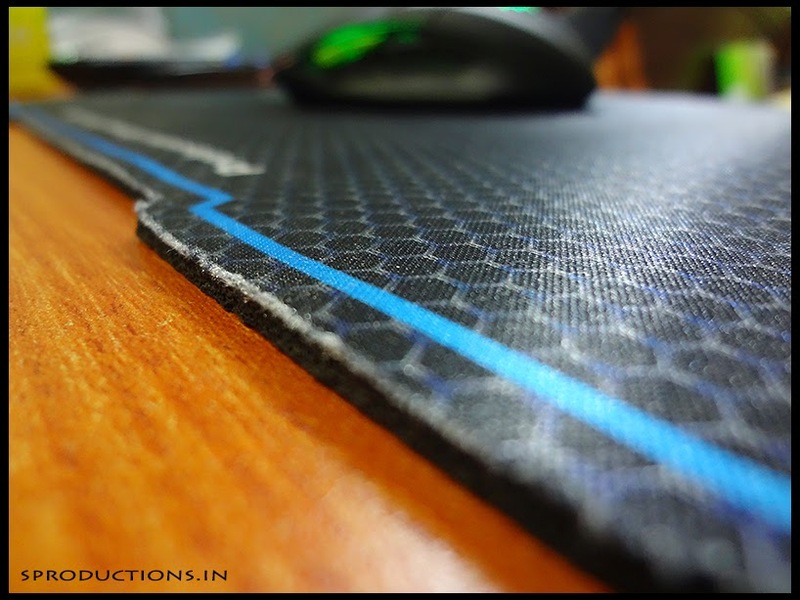 The mouse pad is only 3 mm thick and has a rubber base for perfect positioning. It is water resistant to an extent and can be cleaned/washed using a little bit of water. Overall dimensions: 340 X 250 X 3mm. After having excessively used this mouse for over 2 months, I did find a few negative aspects as well. Although the overall quality of the mouse is brilliant, the side buttons are a bit flimsy. They seem a bit hollow to press sometimes. On the second Unicorn mouse that I ordered, these side buttons were extremely soft and almost went completely in its body when pressed. I had to return that unit for a replacement. The replacement however, was perfect so this could also be a case of manufacturing defect. While playing games or using the mouse for regular browsing, the side buttons need some effort reaching to. Infact, I often lose my grip when I need to press the first side button. The positioning of these two buttons seem a little too far off for my liking. While playing games, I am mostly unable to use this button for any purpose due to its positioning. This mouse is not suitable for people with small hands. I have a slightly larger sized hand (not too large though) and find it perfect for my liking, but smaller hands may find it too large. This mouse is a bit of dust and finger magnet. Every now and then, you would find a bit of dust settled on its body. If you have oily skin, you would find a lot of your fingerprints on it as well. After having considered all its pros and cons, I still find this mouse to be one of the best mouses I've ever used. The perfect grip, sensor sensitivity, high quality material and the free professional mouse make it a deal that you should NOT miss! 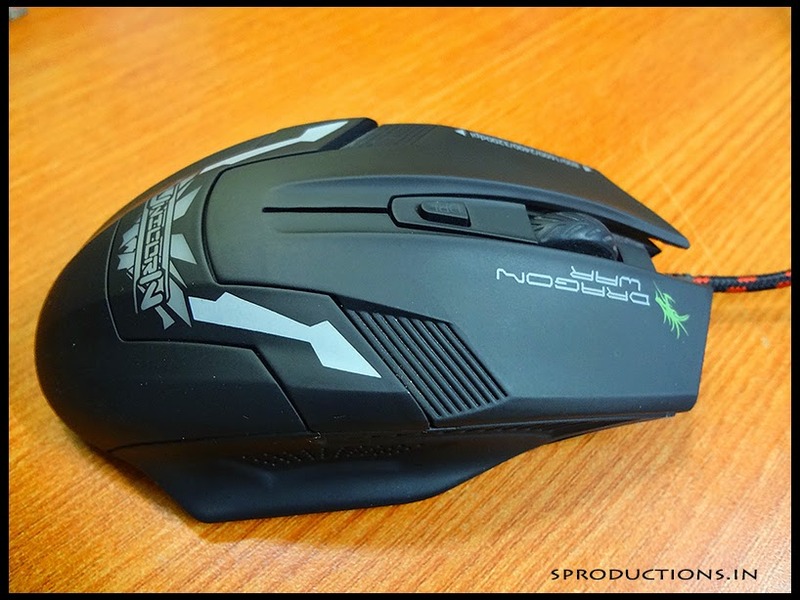 Although, Dragon War markets this mouse as a gaming mouse, I think it is better off being used as a regular mouse that gives you additional options. 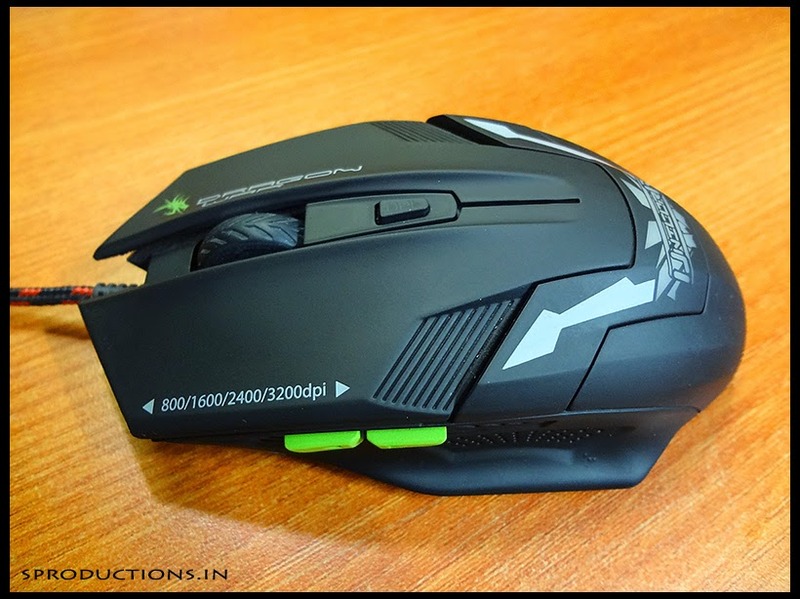 If your sole requirement of a mouse is gaming, I suggest you to look of other models. I would definitely try some of the other mouse variants from Dragon War in case I need to, but the 'Unicorn' mouse would be my first suggestion to whoever asks me for one.